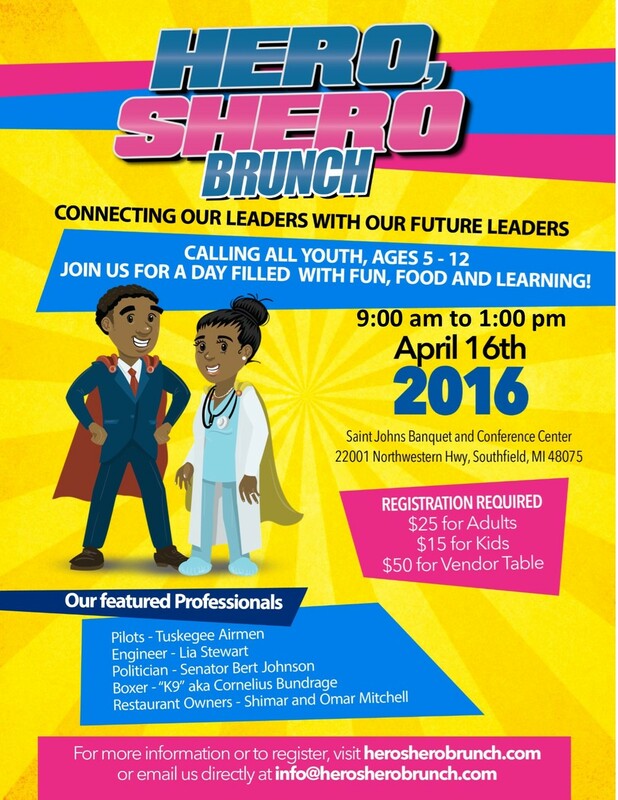 To Become a Woman Inc. presents our Hero, Shero Brunch. The purpose of this event is to expose African American children ages 5-12 to various roles by interacting with African American professionals in our community. Come and learn about pilots, entrepreneurs, engineers, professional boxers and politicians who are a reflection of our young black children. Included in your ticket is a delicious brunch, a fun swag bag for each child and a gift for each parent/caretaker. This will be an excellent event for our youth! Please join us as we support our young "Heros" and "Sheros" become our "Heros and "Sheros" of the future. To find more information please visit HeroSheroBrunch.com. If you are interested in being a volunteer, sponsor or vendor please send any inquiries to info@herosherobrunch.com. See you there! Order tickets today via Eventbrite.